Maybe Trout Spey isn't new! But there's a new trout angler reaching out for new two hand trout rods and lines and defining a new passion for today's trout angling. It wasn't long after my first trout spey catch to realize that I had a lot to learn about two hand trout spey. With much time spent researching I came to realized there wasn't much out there to help my new found interest. Basically the forefront of trout spey was and to some extent still is an open chapter in the bigger picture of modern trout fishing today. 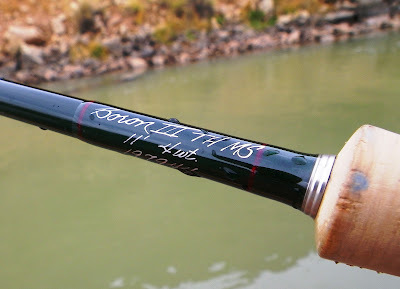 I've had the privilege to spend some time with the best new rod offerings available from Winston and Sage. The most recent is the Sage ONE 3110 Trout Spey. I want to emphasize "spend time with" because I'm not just writing a review from an experience in a casting pond or one day on the water. I actually have these rods and spend most all of my winter and spring chasing trout with them. It's not that easy. Even after countless days on the water with several models of both makes I still don't have a clear choice of which is my favorite. As we speak I am trying to pick another new rod between two choices to add to my quiver while day after day I go back and forth tormented over which one to purchase next. 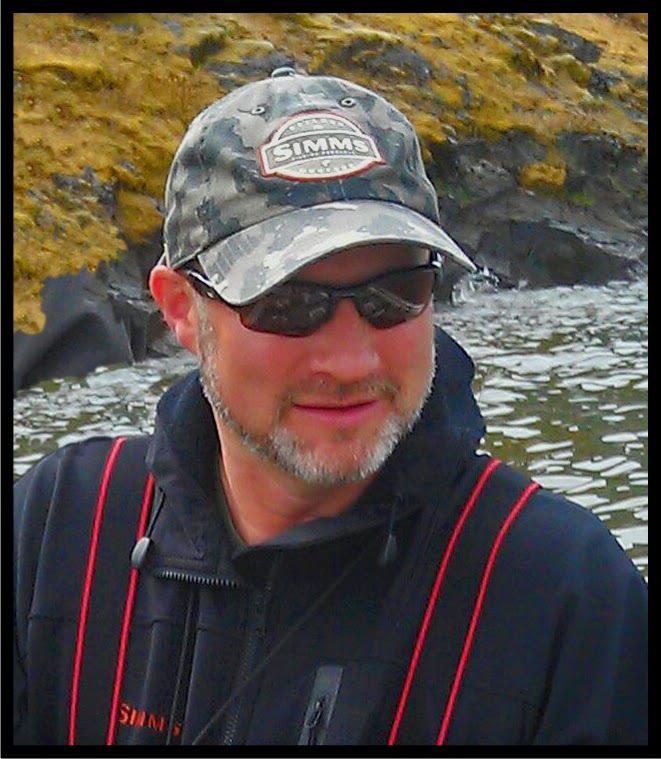 I started fishing trout spey in fall of 2013 with the Sage ONE 4116. At that time it was Sage's smallest offering. If you follow my Trout Spey Chronicles then you're aware that I'm quite the fan of the 4116. After all, it was the rod that provided my first trout spey catch and since I'm opening up personal firsts then I must also admit the 4116 provided my first ever brown trout catch. Not just spey brown trout but actual brown trout catch. And since I am in the mood to admit personal feats I must confess I was not really a trout enthusiast until I discovered trout spey and the Sage 4116. So right away it's hard for me to not be a little biased toward the Sage. Aside from all that, I have always felt a little over-gunned with the 4116 for much of the trout water I wade. When deciding on what size trout spey to own one should really consider the primary use. Is this rod intended to chase giant Alaskan Rainbows with mouse patterns or will it fish a local tailwater with bunny streamers. Will chunky streamers be your go to or do you plan on swinging small streamers and soft hackle rigs? Having fished the ONE for a year when I first picked up the 4110 Microspey it felt a bit slower than what I had become use to thus far. Not bad, just different. But the Winston is very intuitive; so much so that after a day of fishing I had tuned to its feel and learned to really appreciate the deep loading which turned out to be a better skagit casting tool for me. Cannon! Wow! I have to be honest and say this is a rod for big water and big trout, maybe even small hatchery steelhead. What's cool about this rod is that it has the same trout spey size grips as the other microspeys which gives it a nice tight casting box but equipped with deep load power one would expect from a bigger rod. I don't have as many hours clocked on this rod simply because most of the water I fish on a regular basis doesn't need this much rod. Just like the 4110 though the 5116 is just as intuitive making it easy to pickup and cast like a champ anytime. This is one that I wish to add to my arsenal. I don't own one but had the pleasure to borrow Travis' for a good while. It's easy to look at this rod and think that it is for the light work like swinging soft hackles and yes it is too sweet for this purpose. But as I started to push the limits of this rod I got surprised with what it was capable of. At the time there were no appropriate sized skagit heads for it so I fished it with a RIO Scandi Short 270gr and later started to experiment with franken skagits in that same approx grain weight range. I quickly realized we had a rod before we had a production line to work with it. Keep your Scandi handy for light work and load OPST 275gr skagit for sink tip streamer swinging and stripping. This little rod is incredible with todays ultra short skagits. I've heard the Airflo Switch Float is great on this rod too but I have not had a chance to give it a swing. Coming down to size is what the 3110 is all about for me. The Sage ONE 4116 is quite at home skating mice for Alaskan rainbows and more than capable of tackling large western rivers but it does give you a sense of too much for many of the smaller streams that so many trout anglers call home. I wanted a lightened up version to tackle the more average size trout water. Sage must have read my mind or more likely someone from the inside felt the same as I did. What's different besides size? For one, the handle a bit shorter than its big brother and it should be. Smaller rod, shorter handle! Of course it's also a little lighter. The 3110 feels like a smaller lighter version of the 4116 but there is a twist. I've always felt the 4116 was a bit fast for my skagit-ability. The twist in the 3110 is the skagit feel. This little rod loves the skagit lines, especially the OPST Commando heads. I found it favors the 275 grains. I paired that with a RIO Gripshooter and quickly found mojo with this setup. The ONE Trout Spey feels right at home with all kinds of tactics. It's a super fun streamer rod and continues to surprise me with the ease at which it casts them. I also find it very sensitive when fishing small wet flies and of course it is magic with soft hackles. Note: I like to load a little heavy. This rod did just fine with 250gr heads but I prefer 275 grain. This is the other rod I wish to add to my arsenal. I have not fished it yet but I hear it's a sleeper. Ryan got behind it at George Cook's Spey Day and here are a few words he said about it..."Light in hand, crisp, casts good distance for its size and feels like you could cast for a week and never get tired. One sweet little rod." Ryan believes George had it lined with a RIO Skagit Max Short in 225gr. And Ryan and I both believe it would be a perfect candidate for a OPST Commando 225gr head. Hard to find any Cons but here's what I like. I like the Sage grip. It just fits me perfect and feels right. This is true for all Sage rods including single hand models. In the Winston I like the finish. That classic Winston green with attention to little details like a nickel silver winding check just gives these rods class. There is no loser here. If you like Winston rods you will like the Microspey and likewise with the Sage. You can help me end my torment and tell me which one you want me to review next. Click to respond: Winston 3106 or Sage 2109? While trout spey isn't new we are very fortunate to be living in a time when the equipment is starting to match the sport. Awesome time it is for the New Trout Spey Angler!